Hosts Julia Collin Davison and Bridget Lancaster debunk cast iron myths, share the basics for cast iron care, and show viewers how to make the ultimate Cast Iron Steak and Crisp Roast Butterflied Chicken with Rosemary and Garlic. Bridget Lancaster shows Julia Collin Davison how to make the ultimate Portuguese-Style Beef Stew, and test cook Becky Hays reveals the secrets to making the best Quinoa and Vegetable Stew. Bridget Lancaster shows Julia Collin Davison how to make the ultimate Roasted Bone-In Chicken Breasts, and test cook Elle Simone reveals the secrets to making the Best Baked Potatoes. Julia Collin Davison and Bridget Lancaster reveal the secrets to making Home-Corned Beef with Vegetables; tasting expert Jack Bishop challenges Bridget to a tasting of sherry vinegar, and test cook Elle Simone shows Julia how to make the ultimate Snickerdoodles. 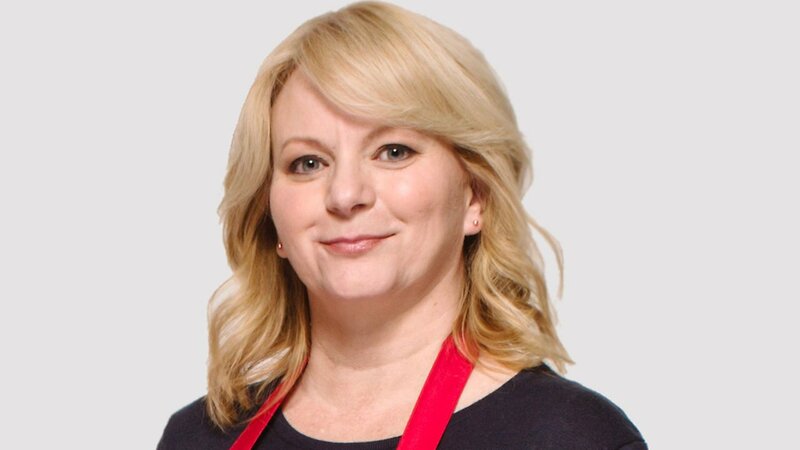 Bridget Lancaster shows Julia Collin Davison how to make perfect Cheese and Tomato Lasagna; tasting expert Jack Bishop challenges Julia to a tasting of jarred anchovies; and test cook Keith Dresser uncovers the secrets to Really Good Garlic Bread. Julia Collin Davison reveals steps for making perfect Pan-Seared Salmon; science expert Dan Souza demonstrates the differences between wild and farmed salmon; and test cook Elle Simone shows the secrets to making the ultimate Shrimp Scampi. Julia Collin Davison and Bridget Lancaster uncover the secrets to making the ultimate Sticky Buns at home; Jack Bishop challenges Bridget to a tasting of Almond Butter; and equipment expert Adam Ried reviews waffle irons. 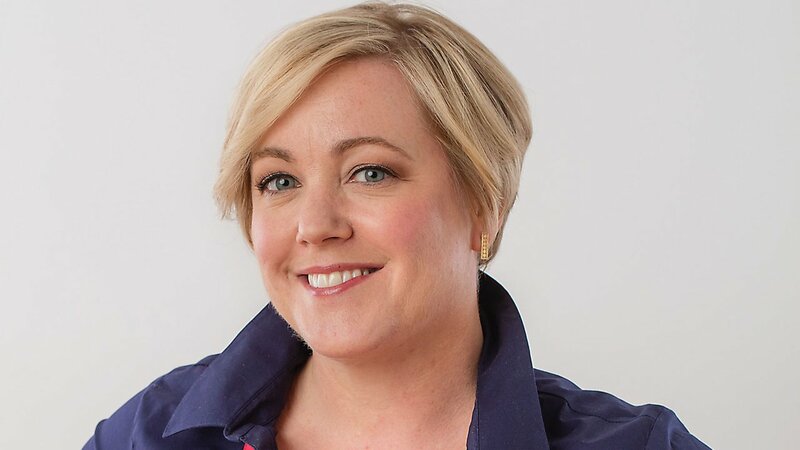 Julia Collin Davison shows Bridget Lancaster how to make the Best Ground Beef Chili, and test cook Erin McMurrer uncovers the secrets to the ultimate Red Lentil Soup with North African Spices. Test cook Dan Souza shows Julia Collin Davison how to make the ultimate Roast Turkey; gadget guru Lisa McManus uncovers the best oven thermometers; and test cook Becky Hays uncovers the secrets to Foolproof Boiled Corn. Julia Collin Davison shows Bridget Lancaster how to make the ultimate Korean Rice Bowl at home; test cook Dan Souza reveals the secrets for making perfect Korean Fried Chicken Wings; and equipment expert Adam Ried reviews spider skimmers. 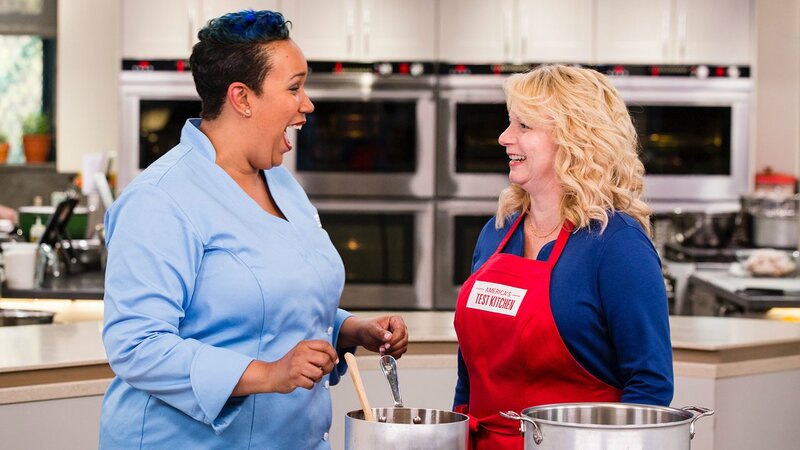 Bridget Lancaster shows Julia Collin Davison the steps to making the ultimate Chicken and Sausage Gumbo; test cook Erin McMurrer reveals the secrets to making the best Red Beans and Rice; and tasting expert Jack Bishop challenges Julia to a tasting of smoked paprika. Bridget Lancaster uncovers the secrets for making perfect Pasta e Ceci; test cook Elle Simone shows Bridget how to make the ultimate Penne Arrabbiata; and Jack Bishop challenges host Julia Collin Davison to a tasting of parmesan. 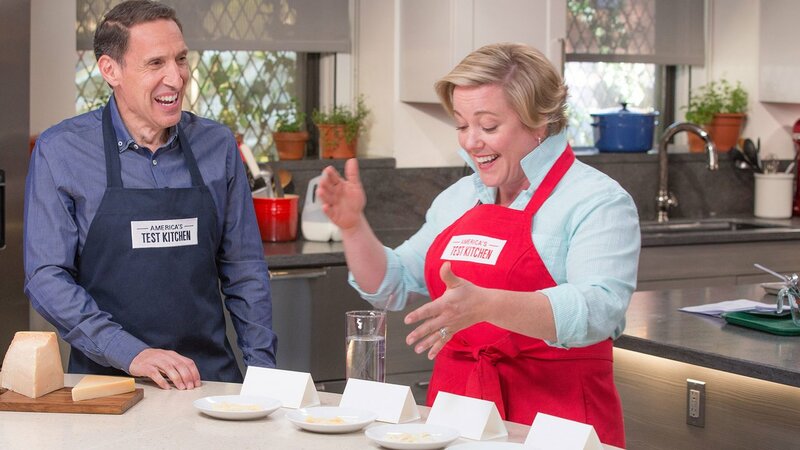 Bridget Lancaster goes into the test kitchen with test cook Dan Souza to learn how to make the best Ginger Frozen Yogurt at home; and test cook Tim Chin shows host Julia Collin Davison how to make perfect Lemon Posset with Berries. Julia Collin Davison and Bridget Lancaster uncover the secrets to making the ultimate Baked Alaska at home, and science expert Dan Souza reveals the science of insulation and thermodynamics at work in Baked Alaska. Julia Collin Davison and Bridget Lancaster uncover the secrets to Better Chicken Marsala; test cook Erin McMurrer shows Bridget how to make the ultimate Skillet-Roasted Chicken in Lemon Sauce at home; and equipment expert Adam Ried reviews Manual Citrus Juicers. 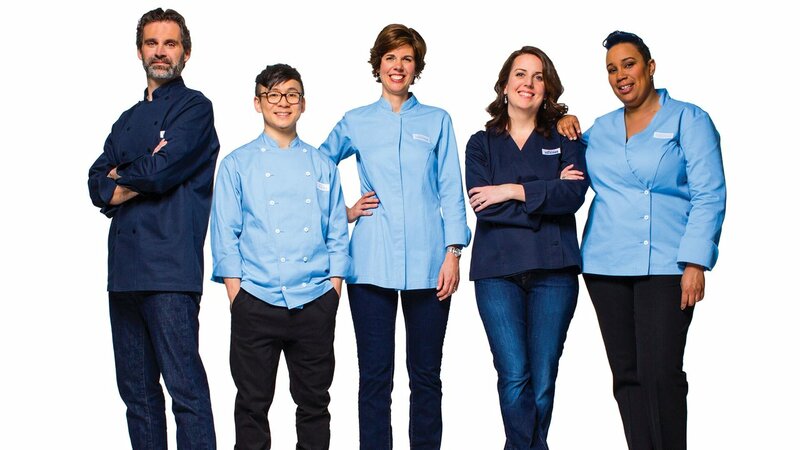 Bridget Lancaster and Julia Collin Davison learn how to make the ultimate Chewy Oatmeal Cookies; test cook Elle Simone reveals the secrets to Ultra-nutty Pecan Bars; and equipment expert Adam Ried reviews mini prep bowls. Bridget Lancaster and Julia Collin Davison learn how to make the best Beef Stir-Fry with Bell Peppers and Black Pepper Sauce at home; and test cook Keith Dresser shows Julia how to make the ultimate Scallion Pancakes with Dipping Sauce. Bridget Lancaster shows Julia Collin Davison how to make the best Tuscan-Style Roast Pork with Garlic and Rosemary; and test cook Becky Hays reveals the secrets to making the perfect Farro Salad with Asparagus, Sugar Snap Peas, and Tomatoes. Julia Collin Davison and test cook Becky Hays reveal the secrets to making Classic Strawberry Jam at home; test cook Dan Souza shows host Bridget Lancaster how to make the ultimate Bread and Butter Pickles; and gadget guru Lisa McManus uncovers the best canning tools. Bridget Lancaster shows Julia Collin Davison how to make the best Pan-Seared Flank Steak with Mustard-Chive Butter; and test cook Becky Hays uncovers the secrets for making Walkaway Ratatouille. Julia Collin Davison uncovers the secrets to making the best Grilled Shrimp and Vegetable Kebabs; and test cook Dan Souza shows Julia how to make the best Persian-Style Rice with Golden Crust at home. 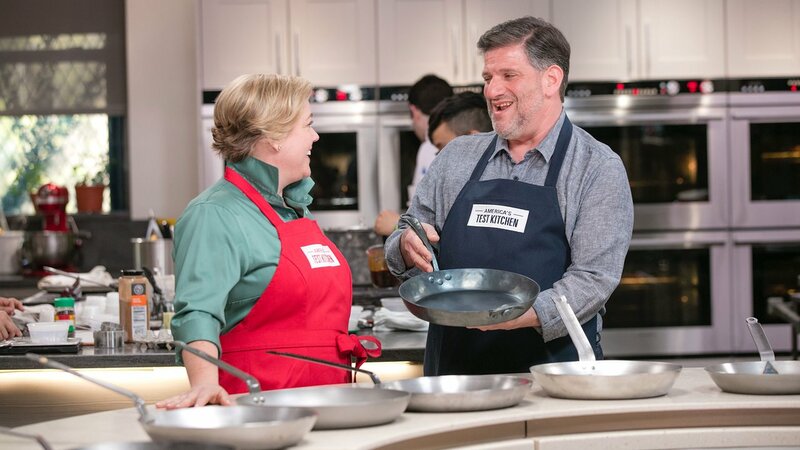 Julia Collin Davison reveals the secrets to making the best Paella on the Grill with Bridget Lancaster; test cook Dan Souza shows Julia how to make the ultimate Patatas Bravas at home; and Adam Ried reviews Paella Pans in the Equipment Corner. Test cook Dan Souza shows Julia Collin Davison how to make the perfect Grilled Pizza at home; and Bridget Lancaster goes into the test kitchen with test cook Tim Chin to learn how to make the best Shredded Chicken Tacos. Julia Collin Davison goes into the test kitchen with test cook Dan Souza to learn how to make the ultimate Grill-Roasted Beef Tenderloin; and test cook Erin McMurrer shows host Bridget Lancaster how to make an elegant Pear-Walnut Upside-Down Cake. Julia Collin Davison shows Bridget Lancaster how to make the best Smoked Pork Loin with Dried-Fruit Chutney, and test cook Becky Hays shows Bridget how to make the ultimate Sweet Potato Soup. Host Julia Collin Davison makes the Best Roast Chicken with Root Vegetables with host Bridget Lancaster, and test cook Dan Souza reveals the secrets to making Almost No-Knead Sourdough Bread. 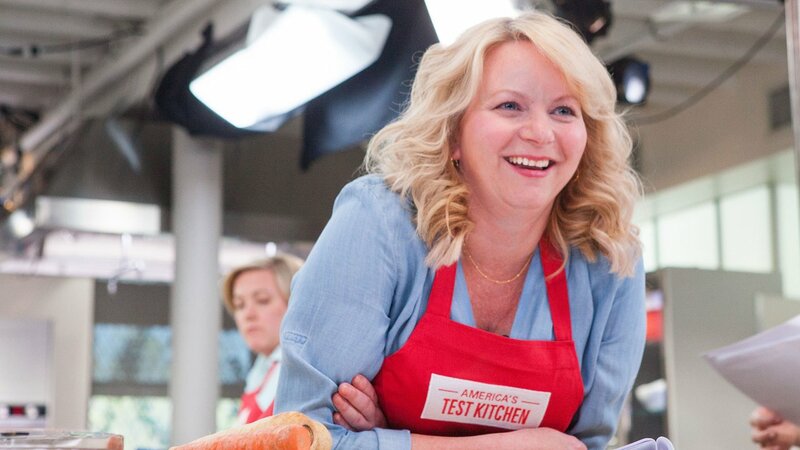 America’s Test Kitchen is the most-watched cooking show on public television—over 2 million viewers tune in during an average minute—and in January 2017, America’s Test Kitchen will launch its 17th season with Hosts Bridget Lancaster and Julia Collin Davison. 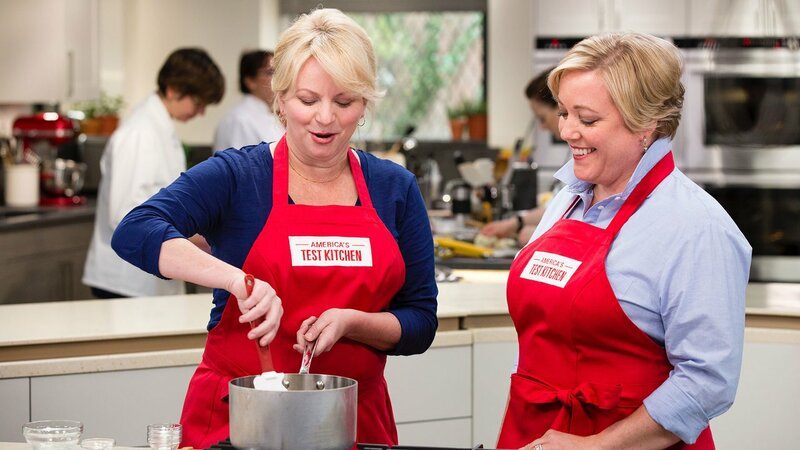 Bridget and Julia have been fixtures on the show from the very beginning, sharing their cooking skills and deep knowledge of food with viewers over the hundreds of recipes they’ve prepared on air as test cooks. 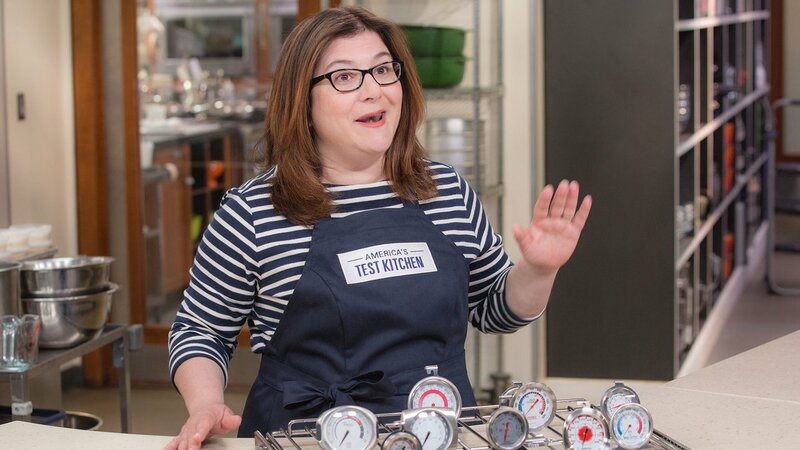 Now, they're spearheading the Test Kitchen team to bring you equipment reviews, taste tests, and recipes for the home cook. Tune in Saturdays at 1:00 p.m. on Nine PBS.